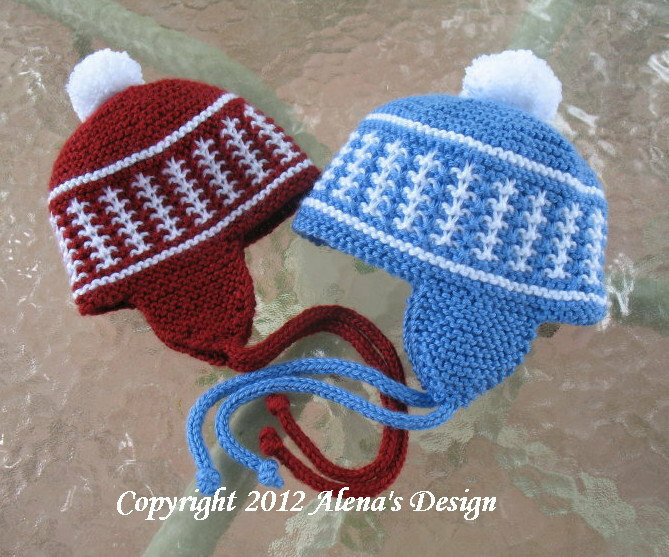 The Ear Flaps will keep your child's ears toasty in winter. Ties can be secured under chin, or just let them hang free. 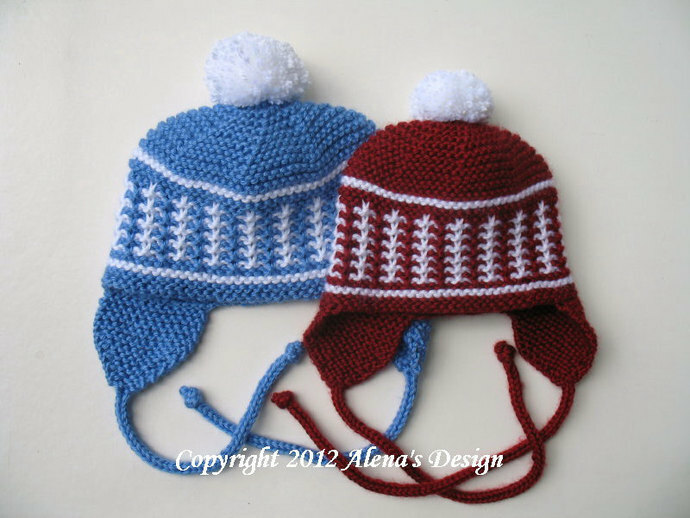 This Hat is knitted around. There is no carrying of yarn across the back of the work. 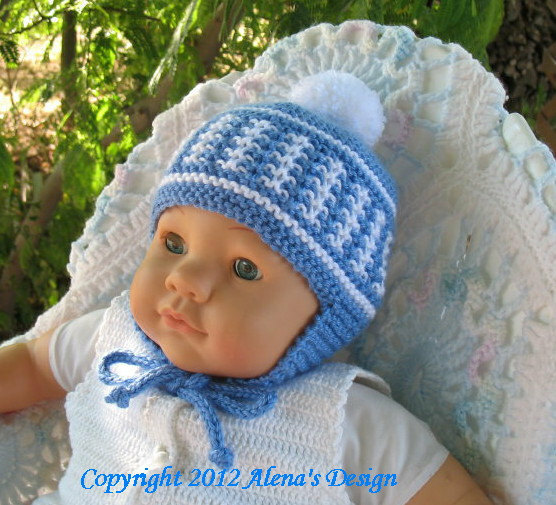 To make this cute hat, I use the slip stitch pattern. 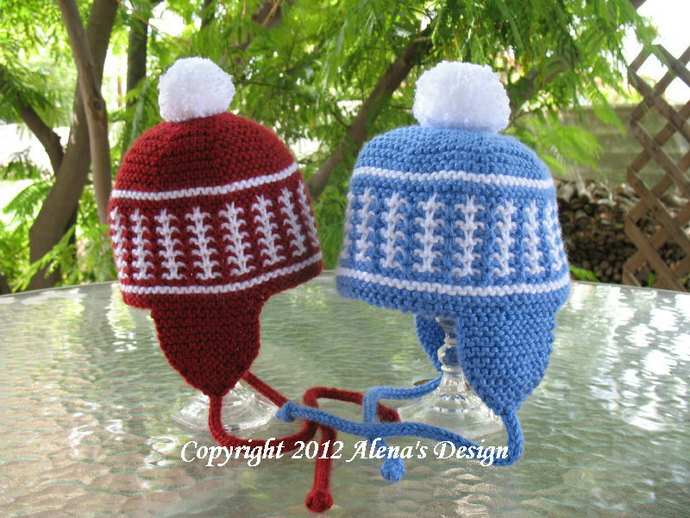 Two colors of Caron Simply Soft (100% acrylic 6 oz/170g; 315 yds/288m), or other worsted weight yarn. Circular needle: US size 6 (4 mm), 16 in (40 cm) long.